Group tours at NSU Art Museum Fort Lauderdale are designed to introduce visitors of all ages to the museum’s collection and exhibitions by creating a unique and enjoyable educational experience. Contact Group Sales by using the Tour Scheduling Form below or call us at 954-262-0204 to book your group tour. During these events, educators explore what’s new at NSU Art Museum Fort Lauderdale, view current exhibitions, enjoy docent tours, gather educational resources and participate in art demonstrations. These are outstanding opportunities to meet colleagues from across disciplines and discuss ways to enrich curriculum through the arts. Free museum admission for Broward, Palm Beach and Miami-Dade teachers and university and college professors with ID. Email or call 954-262-0241 for upcoming dates. NSU Art Museum Fort Lauderdale’s educational mission is to inspire visitors through provocative, interdisciplinary art exhibitions. Programs are based on theories that encourage students to question their surroundings, analyze their place, respond to what they see and feel, and to initiate research on subjects of interest. Through this process, students develop essential questioning, thinking, and problem-solving skills that pave the way for exploring and understanding themselves, their lives and the world around them. For an enriching, interdisciplinary experience at NSU Art Museum, schedule your group in conjunction with a museum lecture, performance, film or book signing. Visit nsuartmuseum.org/events for the current calendar of events. To schedule a tour please fill out the Tour Scheduling Form. If you need special assistance please call us at 954-262-0204. Reservations for most tours are required at least three weeks in advance. Group tour admission is $5 per student and $10 per adult. School groups grades 1-12 must have one adult chaperone per 10 students. Admission is $5 per chaperone. Docent-led tours last approximately 90 minutes and are included in group tour admission price. Self-guided tours may also be scheduled. Group tours are available for a minimum of 10 to a maximum of 150. Group tours are available on Tuesdays through Sundays from 11 am to 5 pm. Evening tours are available on Thursdays from 5-8 pm. Ask your school’s principal or bookkeeper for a FREE School Group Tour using Broward County Public Schools Supplemental Arts and Science Fund. You may pay for your group tour by cash, check, money order, credit card (credit card is the preferred method,) or PO# for city/County organizations. Tours must be paid in full at least two weeks prior to the scheduled tour date. 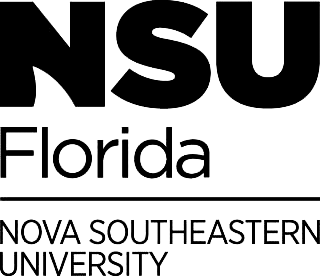 Checks or money orders should be made payable to the NSU Art Museum Fort Lauderdale. To confirm your group tour date, we require a minimum 50% nonrefundable deposit at the time of booking, and the balance of admission fees is due for remittance no less than two weeks prior to the tour date. When booking your group tour, if you are calling us on a day that falls within the two weeks prior to your preferred date, the full balance will be required in order for us to confirm your date and initiate preparations at our end. For rescheduling, cancellation or changes in final count you must contact us at least 5 business days BEFORE your group tour. Divide students into groups of 15-20 students prior to arrival. We encourage teachers to pre-visit the museum and solidify the curriculum connections with a member of the Museum’s Education Department. This pre-visit is complimentary. While in the museum, the role of teachers and chaperones is to manage the group’s behavior, keep the group together and attend to any special needs of the students. Educational resources, Next Generation Sunshine State Standards and Florida Standards are available at nsuartmuseum.org/educationresources. Touching artwork is not allowed, keep 4 feet away from all works of art and walls at all times to avoid accidental contact with works of art. Only pencils are allowed while in the galleries. No photography, food, drinks or large bags are allowed in the galleries. Lunch coolers and backpacks should be left on the bus. A small number of bags can be checked at the front desk. Bus parking is available for buses in front of the museum. Larger groups will require off-site parking. There is no on-site parking for cars. Passenger cars may park in metered spaces adjacent to the building or in the parking garage available nearby. Café lunch or evening refreshments may be pre-ordered from the Museum Café by calling 954-262-0255. Huizenga Park, located across the street from the museum, is a public park that may be used for a picnic lunch.